Forget the notorious Sharpie-esque effects of permanent makeup. 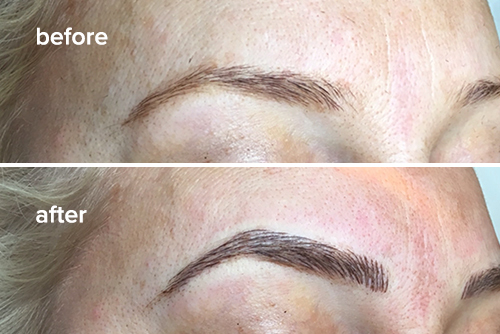 Microblading delivers a natural, semi-permanent makeup option, with strokes that look just like real hairs. Microblading is perfect for those who want to fully reconstruct, define, cover gaps, or fill-in over tweezed brows. 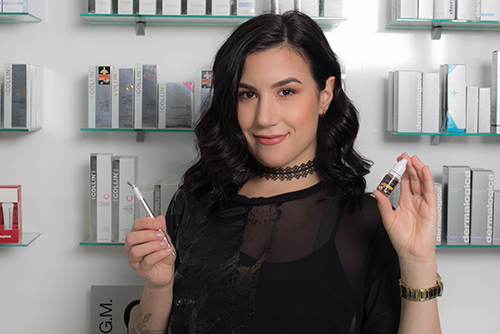 Go ahead, trash your brow gels, pencils and tattooing! During the microblading process we use a special microblading pen to draw on individual strokes one-by-one. It’s an extremely meticulous process that takes around two hours to complete. Since the results will last for up to three years before beginning to fade, you might care to know that our technicians are super detail oriented! The best part about the technique is that there is no down time and low maintenance. Consultation, First Brow Treatment, Treatment, After Care, and Touch-up (4-6 weeks later) We include the touch-up as part of the package, because the treatment isn't complete until it has been perfected.